The University of New Mexico is part of a statewide consortium on a $20 million, five-year grant that aims to modernize the electrical grid to make it more resilient, reliable and ready to handle renewable technologies of the future. 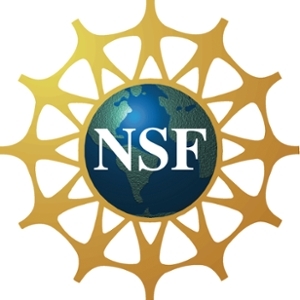 The award from the National Science Foundation (NSF) Established Program to Stimulate Competitive Research (EPSCoR), for the New Mexico SMART Grid Center, will support an integrated research and education program for the development of a modern electric grid. 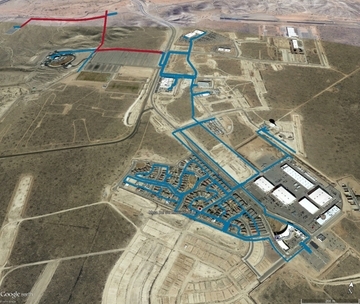 The research program seeks to transform existing electricity distribution feeders into interconnected microgrids and will utilize multiple testbeds across New Mexico, including facilities at Mesa Del Sol in Albuquerque. National Laboratories, Los Alamos National Laboratory and the Microgrid Systems Laboratory. Industry partners include Siemens, Public Service Company of New Mexico (PNM), the Electric Power Research Institute, Oracle and El Paso Electric. In addition, significant outreach to area K-12 students and the community will be done in cooperation with Explora Museum. SMART stands for Sustainable, Modular, Adaptive, Resilient and Transactive. Research will focus on four interrelated objectives: Improving the architecture to provide designs for the optimal evolution of existing distribution feeders to microgrids, taking into account human preferences; creating networks and communication structures that are more scalable, secure, resilient and resistant to cyberattacks; developing machine-learning algorithms to create data models that can control power production, loads and transmission; and building integrated simulation and testbed systems to validate performance, sustainability and resilience. The UNM technical co-lead on the project is Andrea Mammoli, a professor of mechanical engineering and director of UNM’s Center for Emerging Energy Technologies. Mammoli said the central issue the consortium will be addressing is making the current electrical grid, which is more than a century old, more resilient and prepared to accept new forms of energy, such as wind and solar. In recent years, more citizens are turning to alternative and clean energies like solar and choosing technologies such as plug-in electrical vehicles. However, the current grid and distribution system of electricity is not designed to handle this. He said these forms of energy are often variable based on the amount of sun or wind available, so a modern grid needs to be able to take this into account so that efficient and reliable power can flow to the user on demand. Although the project is massive, Mammoli said the goal is to seamlessly implement these ideas into the electrical grid so that the end user sees no noticeable difference in power flow, just a more reliable and responsive electric distribution system that is safe from cyberattacks and extreme weather. The UNM team is made up of an interdisciplinary team of researchers from the School of Engineering, the College of Arts and Sciences and the College of University Libraries and Learning Sciences. From the School of Engineering, the team consists of Mammoli; Svetlana Poroseva from the Department of Mechanical Engineering; Michael Devetsikiotis, Ali Bidram, Meeko Oishi, and Manel Martinez-Ramon from the Department of Electrical and Computer Engineering; and Patrick Bridges, Abdullah Mueen and Trilce Estrada from the Department of Computer Science. A significant part of the UNM research will be conducted at the Center for Emerging Energy Technologies. Janie Chermak and Benjamin Jones from the Department of Economics will lead the effort to model human behavior with respect to energy services. Mammoli said in addition to revolutionizing the electrical grid, another outcome will be to train the next generation of electrical professionals who are educated in the rapidly-evolving fields of power engineering, cybersecurity, machine learning, networking, communications, data mining and artificial intelligence.